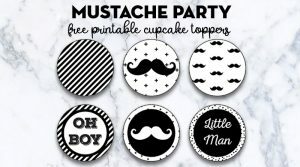 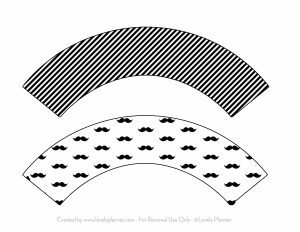 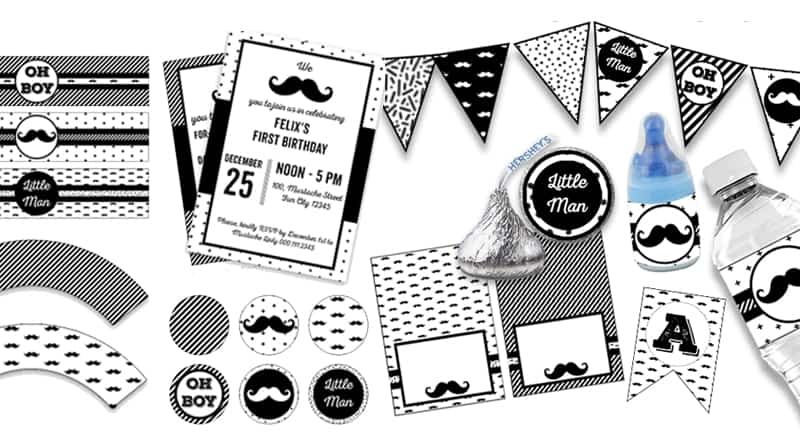 Use these free Mustache Party Cupcake Wrappers combined with these matching Mustache Party Cupcake Toppers to decorate your sweet table during your little man baby shower, baby’s first birthday or any other event for which you’d like to have a Mustache Party theme! 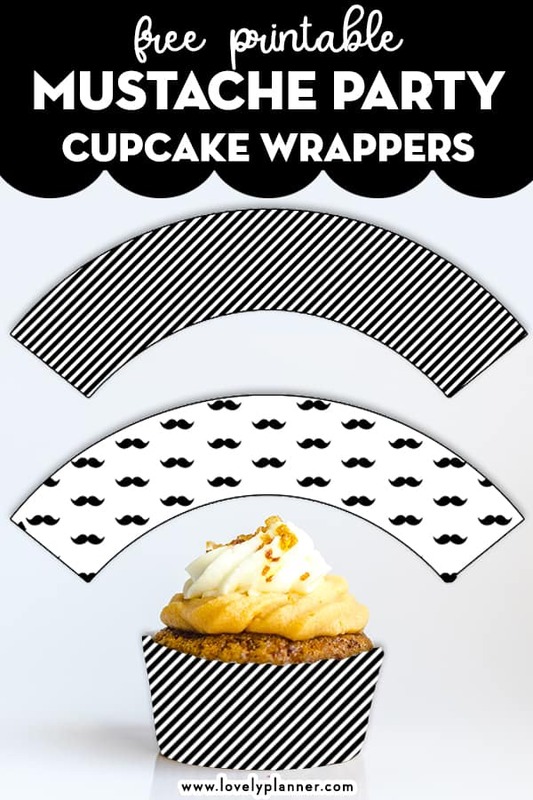 Apply glue tape runner on one end of your wrapper and then wrap it around your cupcake to get it close. 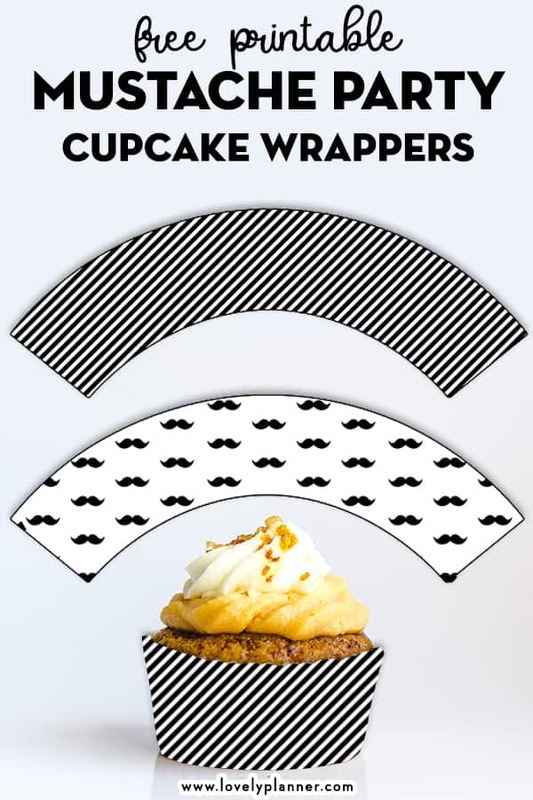 If you’re afraid the glue tape isn’t strong enough to hold your wrapper closed, you can add an extra piece of tape to keep it securely in place. 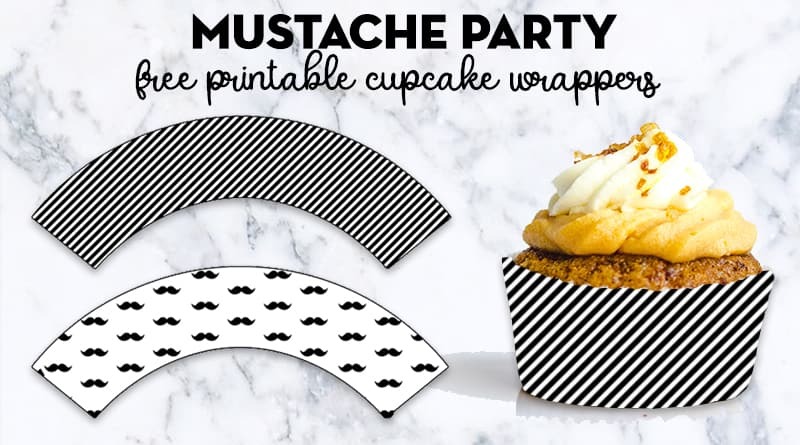 Your cupcakes look won’t be complete without the matching Mustache Party Cupcake Toppers!